Doing some baking but your brown sugar is rock hard? 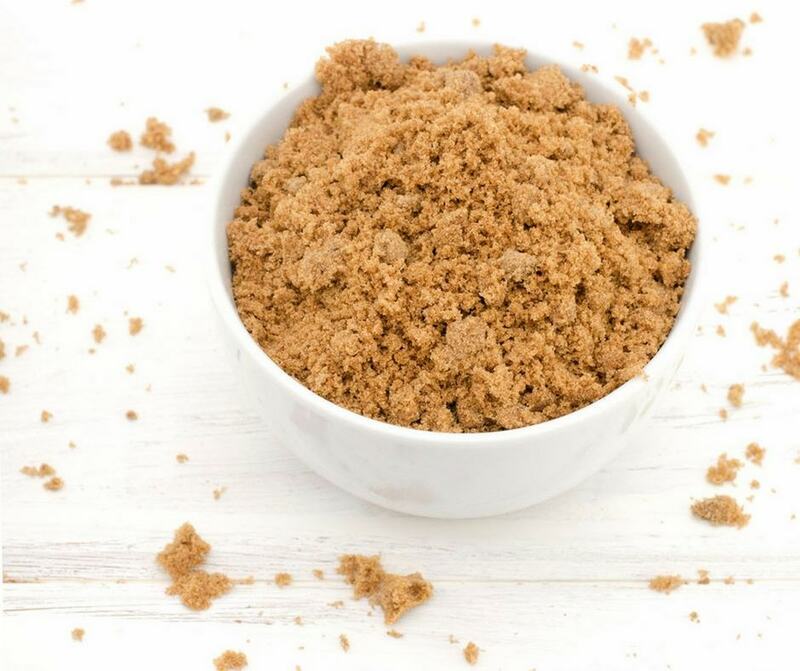 Check out how to soften brown sugar with our easy tips. From nearly hockey pucks to downright cement-like texture hardened brown sugar has often been a bane of my baking endeavors or just when I go to add some to my oatmeal. I’m not a fan of the slider zip top baggies because you can’t always fit large items like a pie in them. But, I guess I should start using them to store brown sugar as for some reason, as Mr. Savvy likes to remind me, I often lack the skill to thoroughly close the old-fashioned type of zip lock bags. Sigh. Using a high-quality plastic container or these Oxo containers I use for flour and sugar would probably be a good idea, too. Either way, I don’t like wasting half a bag of brown sugar because it’s hardened nor have the time to always go buy a fresh bag. Luckily, I have a few tricks up my sleeve for how to soften hard brown sugar. These tips also work great for making sure your brown sugar stays soft to begin with! 1. Add a slice of bread to the bag. This is the method I use most as it’s the first one I tried and, well, it worked perfectly. All you do is simply put one slice of bread (I’ve always used American white sandwich bread that you buy at the store) into your bag of brown sugar and seal it. The brown sugar will basically draw the moisture out from the bread and softens. At this point, I just put a slice of bread in whenever I open a new bag to make sure it stays soft but it certainly works to soften hardened brown sugar within a day or two, too. Just be sure to replace the bread regularly. 2. Use apple slices. This method for softening brown sugar works just like the one using bread. Place a few slices of apple into a bag of hardened brown sugar and seal. Then, a day or two later your brown sugar should be softened. I personally don’t like this method quite as much as bread because you can’t leave the apples in there as long and I don’t trust myself to always remember. Plus I kind of worry that the apples may go bad and ruin the brown sugar. 3. Use a terracotta brown sugar saver. This is one I really want to try because you don’t have to worry about replacing bread or making sure apples don’t go bad. All you do is put the terracotta brown sugar saver into a sealed bag or container with your hard brown sugar and within a day or 2 it’s softened. I really like that you can use the brown sugar savers over and over (you remoisten with water) and can leave one in a container for up to 3 months. Plus, you don’t run the risk of it changing the flavor of the sugar at all. With over 400 5-star reviews on Amazon and being so affordable, I think this one is a must-try for this holiday baking season! I know I’ve definitely thrown away over $5 worth of hard brown sugar through the years. 4. Microwave the brown sugar. If you’re wondering how to soften brown sugar fast for a recipe right now this is a good method. You’ll need a microwave-safe bowl to put your brown sugar in and then dampen a paper towel to drape over the top. You don’t want to soak the paper towel to a dripping state as that will break down the sugar too much. Microwave for 20 seconds at a time until the brown sugar is softened. You’ll want to watch it closely like you would when melting chocolate as the brown sugar will eventually melt. 5. Give marshmallows a try. So, you want to soften some brown sugar but you don’t want to risk the microwave and you don’t have the right kind of bread nor any apples. What to do? Hopefully you have some marshmallows in your pantry! Marshmallows are nice to use as they last longer than both the apples and bread and is something I always have in my pantry for those s’mores cravings and Mr. Savvy loves his krispies treats. The large marshmallows work best as they last longer, but you can use the mini ones if that’s all you have. Do you use any of these ways to soften brown sugar with success? 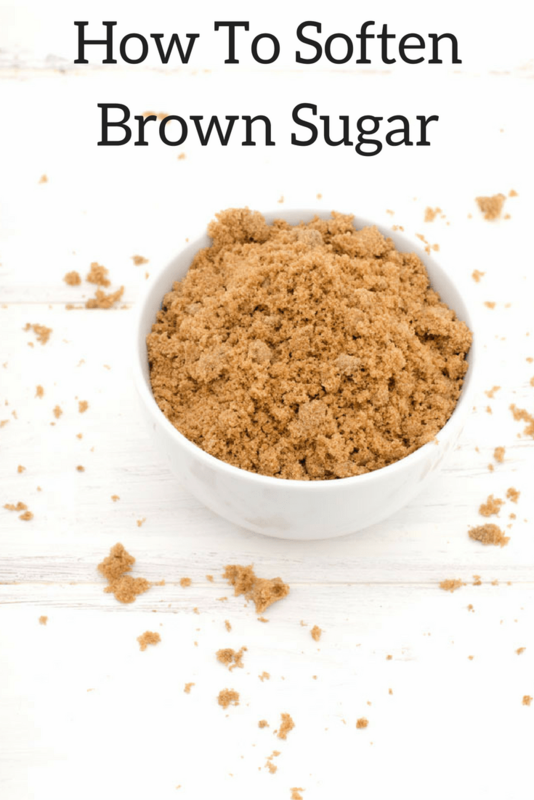 If you have any other top secret methods to soften brown sugar I’d love for you to share in the comments below! Speaking of all of that brown sugar deliciousness, here are some of our favorite tried and true recipes using brown sugar.